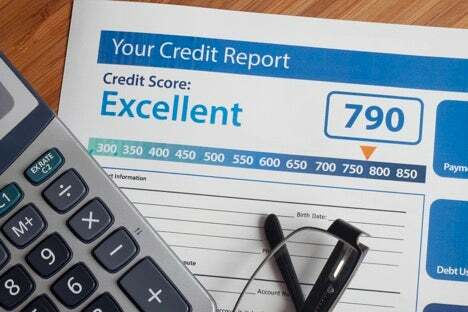 With the increase in the number of companies and websites offering free credit scores, more consumers are becoming aware of their scores than ever before. Despite the buzz, however, those who focus solely on their scores are being shortsighted. In actuality, your credit reports are the real foundation of your personal credit. Each consumer active in the credit world has a report with each of the three major consumer credit bureaus, TransUnion, Equifax, and Experian. It is the information in these credit reports on which your credit score is based. Because of this, improving your credit score is really a matter of improving your overall credit health. For instance, credit repair can remove errors and disputable accounts from your credit report, especially when you use one of the top-rated credit repair companies like Lexington Law. Of course, the best approach for increasing your credit score is to use a variety of techniques designed to improve each aspect of your report used in your credit score calculation. This includes your payment history, your total debt, the length of your credit history, and your current credit mix. Regardless of which credit model is used, one of the most important considerations in your creditworthiness is your payment history. In particular, the FICO scoring model counts your payment history as 35% of your FICO credit score. Under most scoring models, the types of accounts that contribute to your payment history include credit cards, retail accounts (store cards), installment loans, mortgages, and finance accounts. Keeping all of these accounts in good standing is the key to securing a solid payment history. This means avoiding certain negatives, such as bankruptcies, foreclosures, and certain types of lawsuits, as well as ensuring you don’t default on any of your accounts. It also means building a history of paying on time, perhaps through responsible use of one or two easy-to-get credit cards — keyword, responsible. For many, the hardest payment history negatives to avoid are delinquencies, which are late or missed payments. Future delinquencies can be easily prevented, however, if you set up automatic payments on your credit accounts. By setting your accounts to automatically pay your balance each month, you never have to worry about forgetting a due date again. Because late and missed payments lose impact on your score over time (and drop off completely in seven years), the longer you go without a delinquency, the more you’ll see your credit score improve. The second most important aspect of your credit score, 30% under the FICO scoring model, is your total amount owed. This segment looks at your total debt by summing the balances of all of your credit accounts. While lower is better, your total debt itself isn’t the only factor considered in this segment. Also, part of your amount owed is your utilization ratio, which is the total amount you owe divided by the total amount of credit you have available. For example, if you have a total credit limit of $10,000 between two credit cards and a loan, and you owe a total of $6,000, your utilization ratio is 60%. The most effective way to improve how you rank on your amount owed is to decrease your total debt. Unfortunately, this can be difficult when already dealing with a tight budget. When it comes to determining how much of your budget to dedicate to paying down debt, sometimes the answer isn’t to trim your expenses, but, simply, to increase your income. One straightforward method of scoring an income boost is to obtain a pay raise in your current position. Even a modest raise of $0.50 an hour can equal over $1,000 a year that can be used to decrease your current debt. If a raise isn’t a possibility, try taking on overtime hours; most hourly positions offer time-and-a-half for overtime worked. You may also want to consider an additional part-time job to really jumpstart your earning potential. Although how much debt you have and how good you are at paying it back will make up more than half of your credit score calculation, an assortment of other factors will also have an impact. These include the length of your credit history, the types of credit you have, and how many new credit accounts you’ve opened. The length of your credit history counts for 15% of your FICO calculation and is taken into account in two ways. First, creditors will look at the age of your oldest credit account. Second, they’ll look at the average age of all of your accounts. In both situations, older is better. Furthermore, another 10% of your credit score is dedicated to the number of recent inquiries and new accounts you have. Any hard credit pulls within the last 12 months can be taken into consideration here. In practice, this means that, while it’s all well and good to apply for one or more post credit repair credit cards, new cards will impact both your average account age and recent credit inquiries. For the most part, time is the primary way you can improve the length of your credit history. That said, you can help your average age by becoming an authorized user on someone else’s established credit card account (providing it is older than your oldest account). In fact, in addition to increasing your average age of accounts, becoming an authorized user for a credit account in good standing can also help improve your credit utilization rate by increasing your available credit. The trick here is that being an authorized user on an account only helps your credit if the primary account holder maintains healthy financial habits. If the account on which you are an authorized user has a high utilization rate, it will negatively impact your credit scores, too. Discovering your credit isn’t in the shape you thought it was can be a blow, but it doesn’t have to be the end of the world. You can improve your credit by using a variety of techniques to improve each important credit factor. A good first step in repairing tarnished credit is to shine it up with credit repair, done by an experienced credit repair company. After that, really make it gleam by addressing each aspect of your credit, from the ones with big impact — your payment history and utilization rate — to the factors with smaller impact, including the length of your credit history and average age of accounts. This entry was posted in Credit Repair and tagged bad credit, credit report, Credit Score, credit utilization, FICO, payments. Bookmark the permalink.